I threw in the towel in my search for a literary agent. 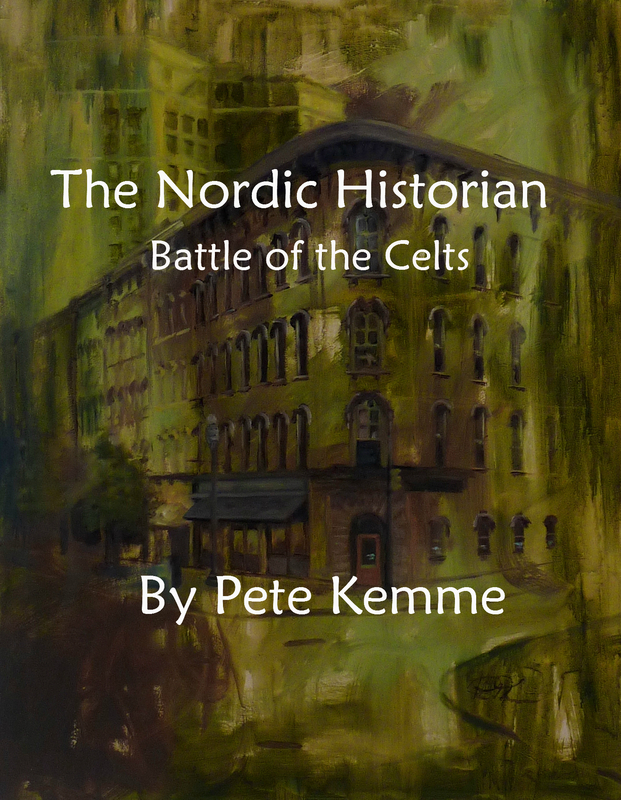 As with Witness Tampering, I have decided to upload The Nordic Historian: Battle of the Celts into an ebook for sale. I utilized Smashwords for the complete publishing this time. I set the price for $.99 for all retailers. Once you use Smashwords’ styling guide (a good hour or three of investment) you have a document which should convert to any ebook format for any retailer. Smashwords makes the entire process easy and they even give you a Smashwords specific ISBN. Click here for my Smashwords’ page for The Nordic Historian. Click here for my Smashwords’ page for Witness Tampering. To see my last post on The Battle of the Celts, the first in The Nordic Historian series, click here. After 14 months and over 100 query letters emailed out to potential literary agents, I now know breaking into the literary world is harder than I ever imagined. Yes I realize it could be because my book is not well written, or the genre is oversaturated, or I do not have enough “creds” to get attention from literary agents. Whatever the reason, it is clear my book is not getting published anytime soon if I continue the traditional approach. My first response to this was to rewrite the book yet again to make it better. Check. My next response was to improve my query letter. Check. Following that, I began to write a new book, this one is using my old history book I had written and is turning it into a fantasy book (stay tuned for more on that). Check. Finally, I opted to go with self-publishing the book and selling it as cheap as possible on Amazon and Barnes & Noble for use on the Nook and Kindle. Check. Below is a description of the book, followed by links to get your very own copy. And yes, make sure you let me know what you think. I haven’t had anybody guess the ending yet! “Detective Carl Krieger excelled in his ability to solve even the most serious sexual assault; that was until somebody brutally stabbed one of his victim’s pastors and began to violently terrorize those closest to Krieger.